I live in New York City. You may think that an odd place for a nature and wildlife enthusiast to live, but you would be surprised at the abundance of nature we have here in our parks. 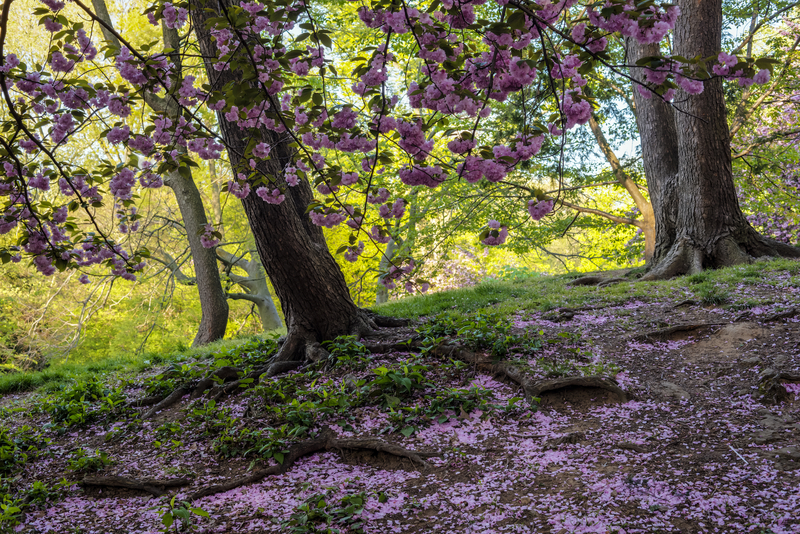 Audubon has named Central Park one of the best birding spots in the United States. Along with our resident red-tail and Coopers hawks, the barred and great horned owls, the blue jays and cardinals, multiple species of woodpeckers, herons, ducks, and the song birds we see all year - we also have the migrants. 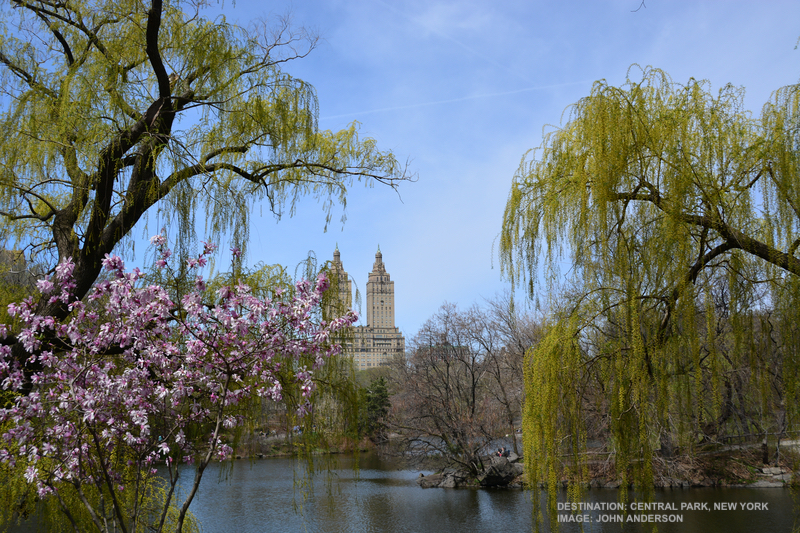 Central Park is a favorite stopover on the Atlantic Flyway for wood warblers and many other migrating bird species. They rest and feed here. But look fast! Most continue north – following the Hudson River Valley to their nesting grounds in New York State, the New England states and even far into Canada. 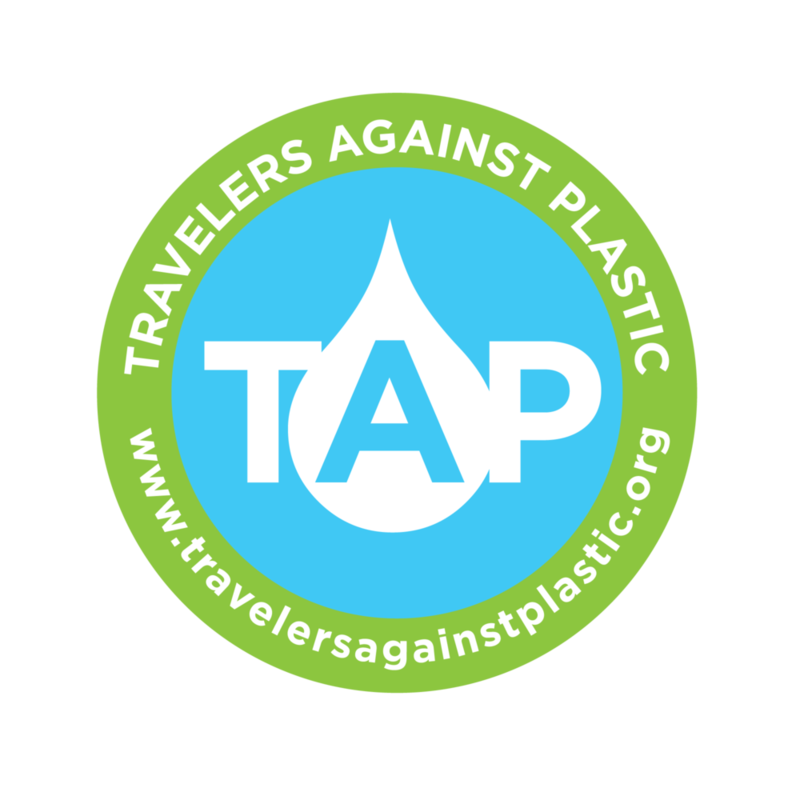 Where: New York City, Central Park, and Prospect and Bryant Parks and Surrounding areas. Who: Everyone who loves nature. Birding Tip: Bring binoculars, download a bird identification app, and look for clumps of people lookin up. By the time they arrive in New York, some of these tiny travelers will have come thousands of miles, mostly by night, and have still further to go to get their breeding grounds. Some have come over land, but many crossed the Gulf of Mexico. Over open water, with no place to stop and rest, they have had to fly and keep flying for days – or die. Keep your eyes open - they will begin to cross our southern borders in the next few weeks. And if we are lucky, we will see them here, in New York, in all their glory a couple of weeks after that. Wood Warblers! They are amazing. D: W birding consultant Elise Boeger says: The west side of the park can be a good place to start. The Ramble is great for warblers. And don’t miss the North Woods including the Loch and Ravine, Sparrow Rock and Strawberry Fields. 1. Uncommonly Common: There are over 50 species of New World wood warblers to be found in North America during the warm months. 4. Delicate Construction Material: Warblers like to build their nests out of spider’s webs, grass, bark, or hair. 5. Confused? A group of warblers can be called: A bouquet, a fall, a wrench, or a confusion of warblers! 6. Prepare for Warbler Neck! That is the crick that you feel at the end of a day searching high into the canopy for these tiny birds. It’s worth the pain! A Precarious Existence: New World wood warblers are declining at an alarming rate. Some have lost half their populations or more since 1960. Habitat Loss, in the form of deforestation, is one overwhelming cause for the decline of all warbler species. Forests are being felled for development faster than the wood warblers can adapt – if adaptation were even possible. Then there is the pesticide problem. Warblers eat bugs, if the insects are poisoned, so is the warbler. And climate change is accelerating an already bad situation. We are all connected: humans, birds, bugs, the forests and streams, the climate. Anything that impacts one of us affects all of us. Cerulean Warbler Fun Fact: Female Cerulean warblers sometimes look like bungee-jumpers. They leave their treetop nests by sitting on the edge for a while, then dropping straight down with wings folded, at the last minute the Cerulean will open her wings and fly off parallel to the ground. Population Status: This little blue beauty is one of the most endangered warblers. Between 1970 and 2014, their population declined by 72% The Cerulean warbler’s population is dropping faster than any other warbler in the USA; the average population loss per between 1960 and 1999 was 4% per year. Where to Look for Cerulean Warblers: High in the forest canopy, especially in sugar maple, white oak, and magnolia trees, but – I saw my first female (see above) on the ground. She was looking for nesting material. Where I Have Seen a Cerulean Warbler in New York City: Central Park. They like Doodletown, at Bear Mountain too. That is about an hour’s drive north of New York City and is where I saw that little female with nesting material clenched in her beak. Where did They Start Their Migration? They winter in Columbia and Venezuela, South America, preferring montane evergreen forests and the shade coffee plantations on the eastern slopes of the northern Andes from 1,600 to 6,500 feet. Amazing Migration! One prothonotary warbler, dubbed, “GeoDad” fitted with a GeoTracker in 2014, traveled over 5000 miles in 8 months (Louisiana to Columbia, South America,) through 7 countries, crossing the Gulf of Mexico twice and the Caribbean Sea once. He made one Baton Rouge, Louisiana to Columbia trip in only 3 weeks. Population Status: Population declined 42% between 1966 and 2015 according to the Cornell Lab of Ornithology. Only 50% of migrating prothonotary warblers survive to return to their breeding grounds. 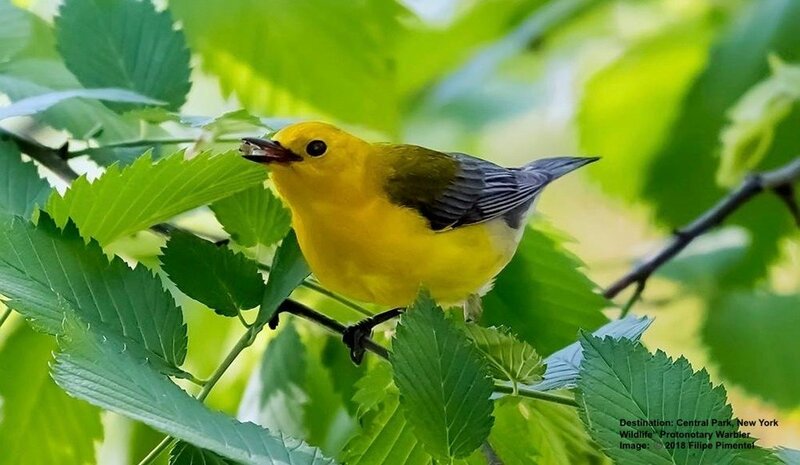 Where to Look for Prothonotary Warblers: Wet forests and wetlands in Eastern US, most breeding in the US southeast, but we have seen them in Central Park and upstate New York. Where did They Start Their Migration? Prothonotary Warblers winter in the mangrove forests and the coasts of Mexico, Central, and in northern South America. Citizen Science Opportunity: You can help Audubon track prothonotary warblers. Where to Look for Blackburnian Warblers: Look at the top of coniferous trees., They sometimes will perch on the uppermost twig. They nest up to 80 feet (24 meters) off the ground. They are found Eastern Canada, northeastern United States (Maine, New Hampshire, Vermont, New York, Pennsylvania) during the summer. The Blackburnian warbler is a solitary bird, only forming flocks during migration, but, after its young fledge, look for it among foraging flocks of chickadees, kinglets, and nuthatches. Where I have Seen Blackburnian Warblers in New York City: Central Park. And you may spot them in Bryant Park or Prospect Park, Queens. Where did They Start Their Migration? Blackburnian Warblers winter in the forests of the Andes Mountains in South America. Northern Parula Fun Fact: They have one of the prolonged migrations of any bird. The first northern parulas are usually spotted along the Texas coast in February but they are arriving and passing through this area on their way north through May. 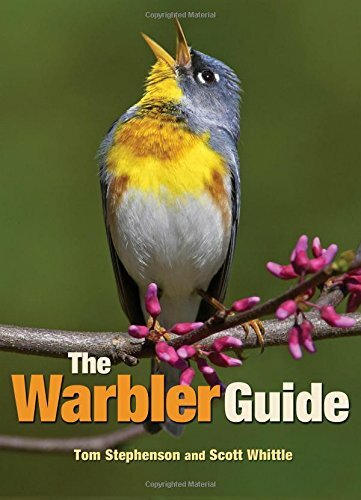 |Where to Look for Northern Parula Warblers: High up in the trees. These little guys will definitely give you warbler neck. They breed in forested areas with plentiful Spanish moss or beard lichens from Florida to Newfoundland. According to the Boreal Songbird Initiative, 14% of the species' North American population breeds within the Boreal Forest. Where I Have Seen a Northern Parula Warbler in New York City: I have seen northern parula warblers in Prospect Park, Brooklyn; also look in Manhattan’s Central and Bryant Parks. Kirtlands Warbler Fun Fact: Kirtlands has one of the most restricted distributions of any bird in the United States. It only nests in jack pines with a stand of at least 80 acres (32 hectares), but they prefer 300 – 400 acre (120 - 160 hectare) stands! AND the tree stands need to be periodically disturbed by wildfire. 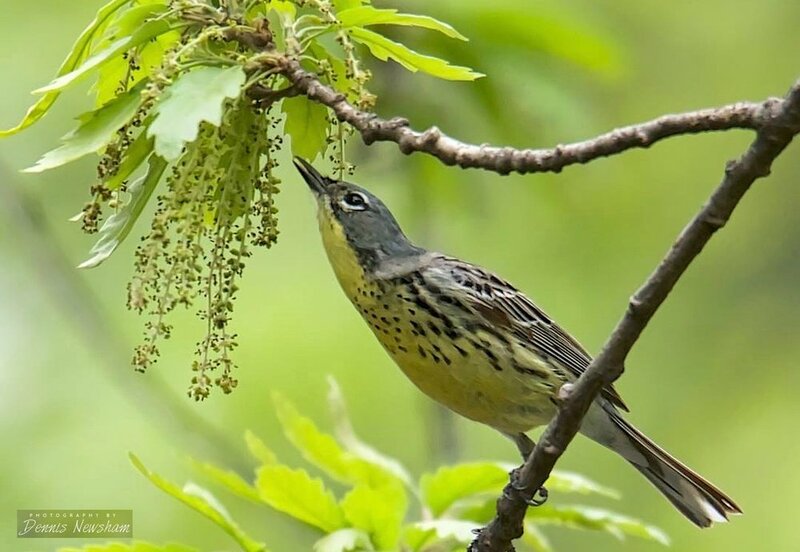 Population Status: Near Threatened, Nearly extinct 50 years ago, the Kirtlands warbler is recovering through conservation efforts of the U.S. Fish & Wildlife Service and the Kirtlands Warbler Alliance, and the Kirtlands Warbler Conservation Team. Where to Look for Kirkland’s Warblers: High in Jack pines. They are only found in northern Michigan, Wisconsin, and Ontario - except when one happens to take a wrong turn and ends up in Central Park! Where I have Seen Kirtlands Warbler: Full Disclosure: I have never seen one! But many of our birding firends, and our Destination: Wildlife birding consultant, Elise Boeger, saw this famous visitor to Central Park. Who knows? Perhaps he will pass this way again? Where did They Start Their Migration? Kirtlands winter in the Bahamas and the Turks & Caicos Islands. 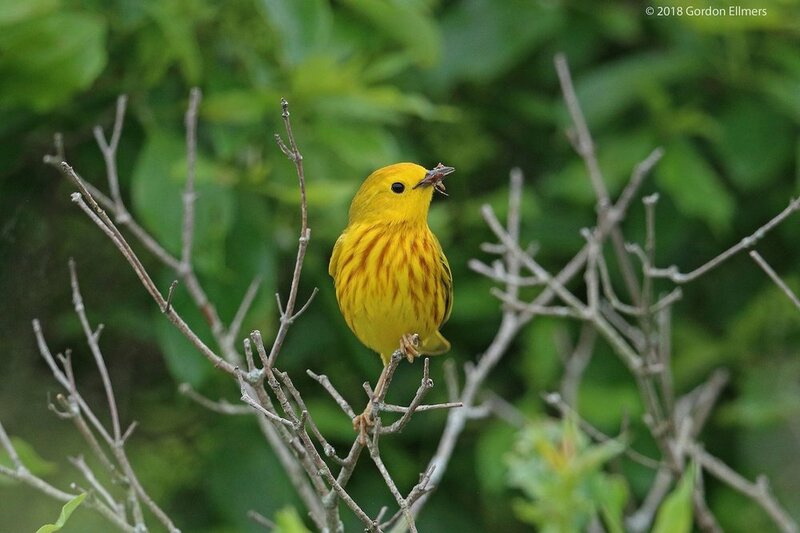 Yellow Warbler Fun Fact: Cowbirds Take Advantage! Yellow warbler nests are the favorite dumping grounds for the much larger Brown Cowbird. These hefty interlopers lay their eggs in yellow warbler nests. Sometimes the innocent little guys incubate the eggs and raise the chicks as their own. Sometimes they abandon both nest and eggs and start again. Brown Cowbird Demanding Food From Yellow Warbler "Parent"
Where to Look for Yellow Warblers: Thickets and other low re-growing habitats especially near wetlands and streams, and the edges of forests and swamps. They nest in the forked branches of a small bush or tree. Where I Have Seen Yellow Warblers in New York City: Look up, even a non-birder can usually find this ray of sunshine. I have seen them in Central Park, Bryant Park, Jamaica Bay, Doodletown at Bear Mountain, and north to Fort Edward, New York. Where did They Start Their Migration? Yellow Warblers have a big range, they winter from Southern California into South America: the Amazon region, Bolivia, and Peru. Where to Look for Yellow Warblers: One of the first warblers to arrive in the north every year, watch for them creeping along tree trunks, head first, like a nuthatch. They like deciduous forests and mixed forests of deciduous trees and conifers. And you might just see them sometime in your garden or lawn. Black and white warblers nest low, under a bush or a log, sometimes at the base of a rock, tree stump, or a fallen log. Where did They Start Their Migration? Black and White warblers winter in Florida, Central America, and as far south as Peru. Where to Look for Black-Throated Blue Warblers: The black-throated blue warbler likes tracts and forests of hardwood trees. Look for them in the understory (layer of vegetation beneath the main canopy of a forest). Where I Have Seen Black-Throated Blue Warblers: Central Park, New York City. Where did They Start Their Migration? They spend the winter in the Caribbean and Central America. Our Annual “Follow the Migration” Tour! 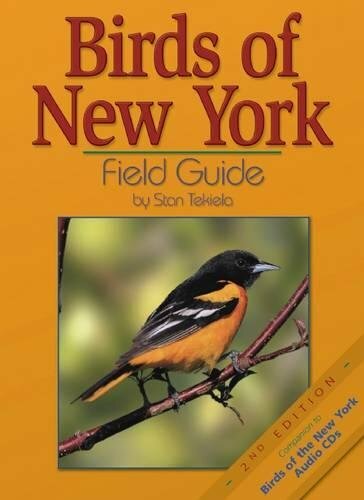 Every year, around the first week of May, our birding friends from the UK join us in New York. 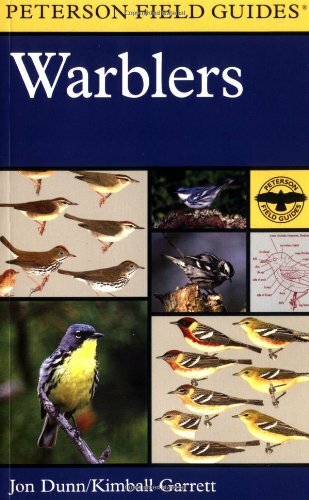 Together we all experience the warbler migration in Central Park, every year looking for our favorites and adding new visitors. 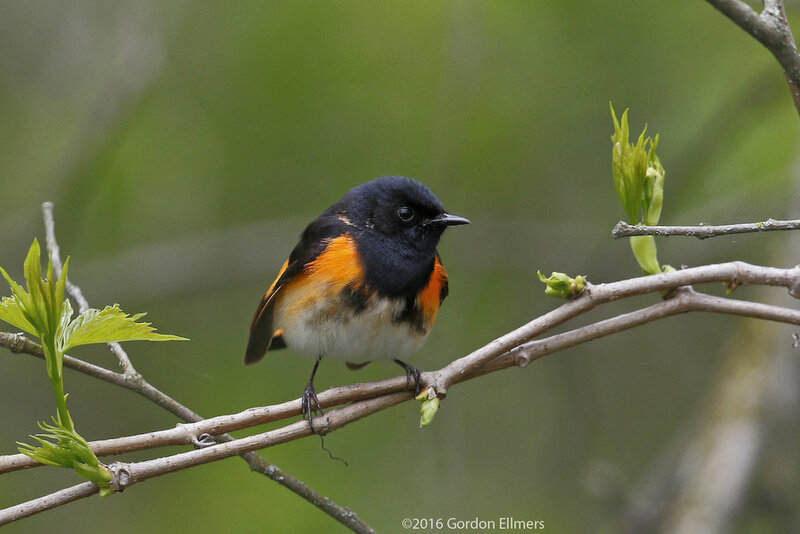 After a few days, we follow the warblers and other migrating birds up the Hudson River (have you ever seen Bobolinks display?) You are invited - but space is limited. Contact us for more information. 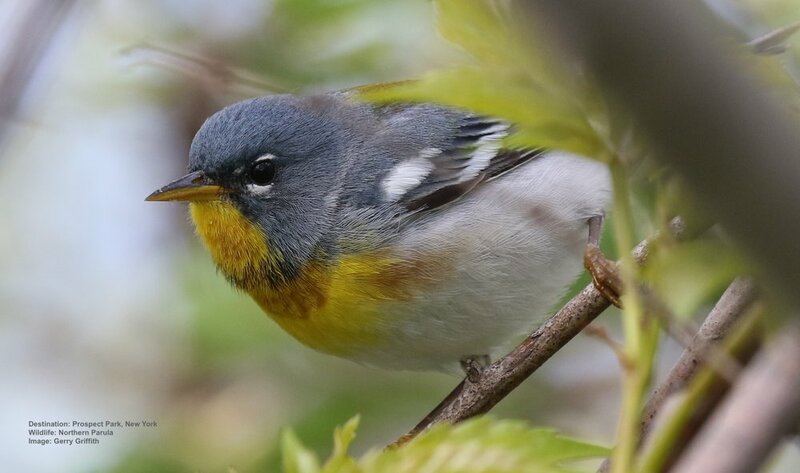 INTERESTED IN JOINING OUR SPRING WARBLER TOUR? Migrants in Central Park! The Warblers are Coming. Bump Up Your Exposure! What to Do When The Bird is a Bear.